Home » hikarichaos14 » Pictures » For Cloudy! Yeah i can see what you mean about how it blends together too much, you know i will consider coloring this but only after i've improved my coloring skills, for some reason i have a hard time getting the colors to fade right. Any plans for coloring this one? 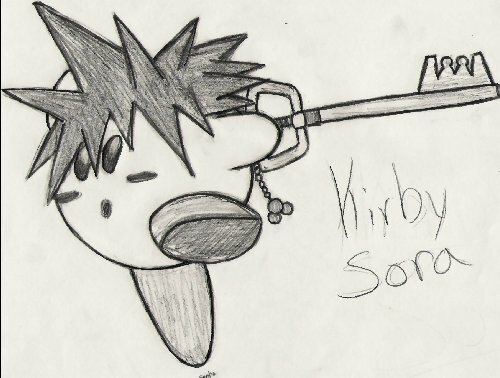 lol, that is soo funny, now i feel like playing kirby, very nice details too !